You may be surprised to learn not all bronzers are powder-based. Cream bronzers have the ability to glide over the skin, which means you can expect a more natural, flawless coverage. They’re also a helpful addition to your makeup bag if you’re prone to dry skin. Watch the video below to learn a few tips and tricks on how to use cream-based bronzers to transform yourself into a sun-kissed goddess. Take your time choosing the right bronzer for your particular skin tone. It helps to play around with different shades before settling down on just one. Finding the right makeup that works for you is all about trial and error. Be patient with yourself, and you'll be rewarded with makeup that behaves harmoniously with your skin. 1. 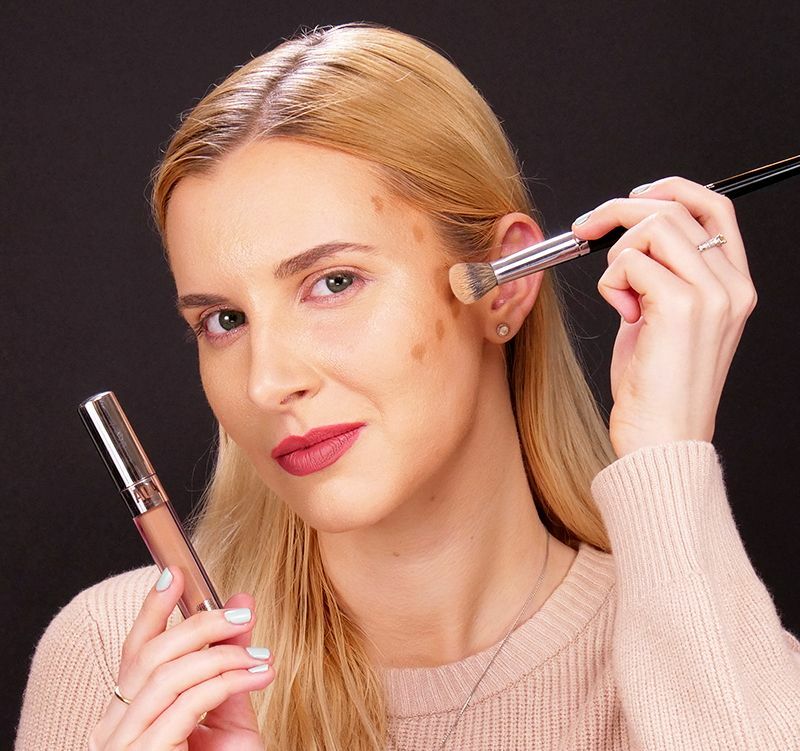 Use the wand from your bronzer to trace the number three on the side of your face. Start from your forehead and move downward toward your cheek and chin. 2. Grab the brush or use your fingertips to blend the bronzer onto your skin. Here’s a tip: Use circular motions to achieve a more seamless finish. 3. Repeat the same steps on the other side of your face and blend thoroughly. 4. The final result should give you a warm, natural glow. Share this amazing makeup tip on Facebook.